Show me a child who doesn’t love these squeeze poppers and I’d be surprised! They are so much fun and the perfect game! 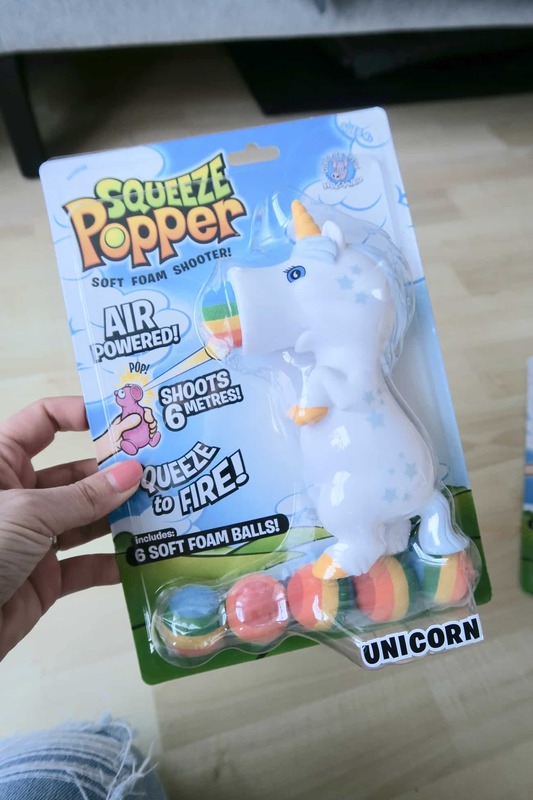 There a huge variety of characters ranging from all manner of animals to a garden gnome, two styles of unicorn and members of the Monster poppers range including a new poop popper arriving soon – there’s a squeeze popper for everyone. Just pop a ball in their mouths and, with a squeeze of the belly, you’re able to launch the soft foam projectile an impressive distance – The harder your squeeze the further you’ll fire. They’re ideal for both indoor and outdoor play with each pack supplied with six balls and a net bag. 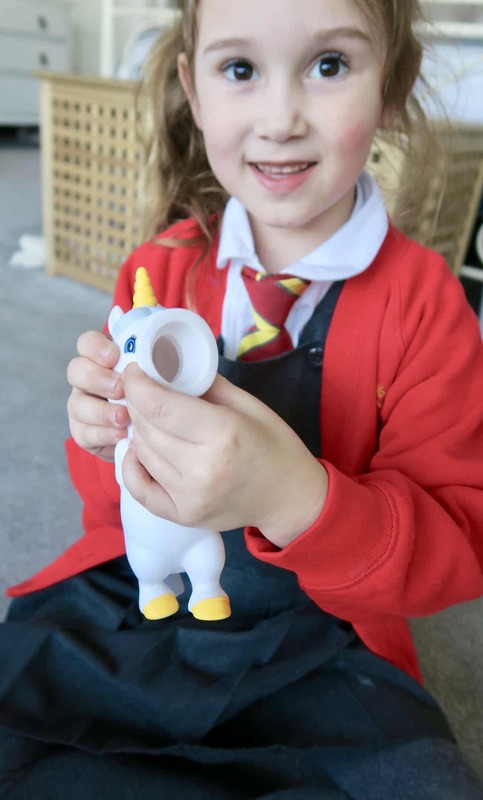 Squeeze poppers are an action packed stress ball, easy to use, fun for all with plenty of characters to collect. 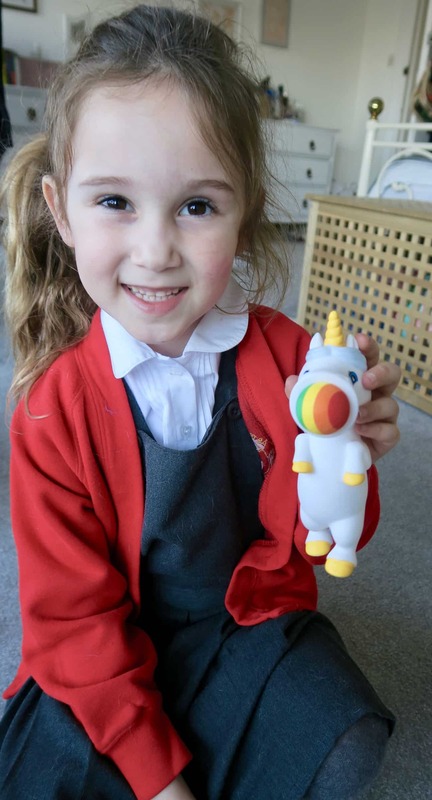 We were sent two unicorn poppers and a sloth popper to review and the girls were delighted with them. They loved firing the soft balls at each other and they’ll be perfect for playing in the garden in the summer. Just remember that when children are playing with small balls they should always be supervised as they can pose a choking risk. These toys aren’t suitable for under 4’s for this reason. 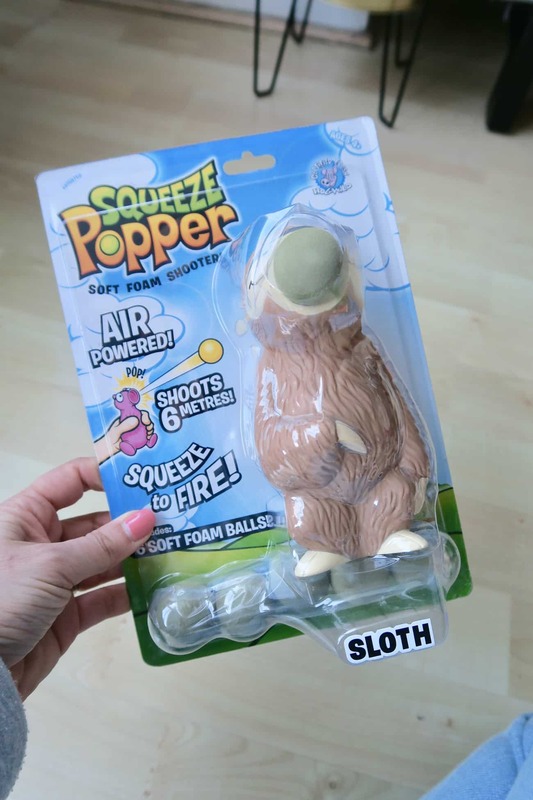 These squeeze poppers have a RRP of £8.99 and are available from Amazon and Wicked Uncle. Cheatwell Games have kindly offered one lucky We Made This Life reader the chance to win 3 assorted Squeeze Poppers. To be in with a chance of winning enter via the Rafflecopter widget below. UK entries only please and standard terms and conditions apply. Giveaway ends on the 21st March 2018. Disclosure – we were gifted these toys for the purpose of this review. All opinions are honest and our own. This post contains affiliate links.